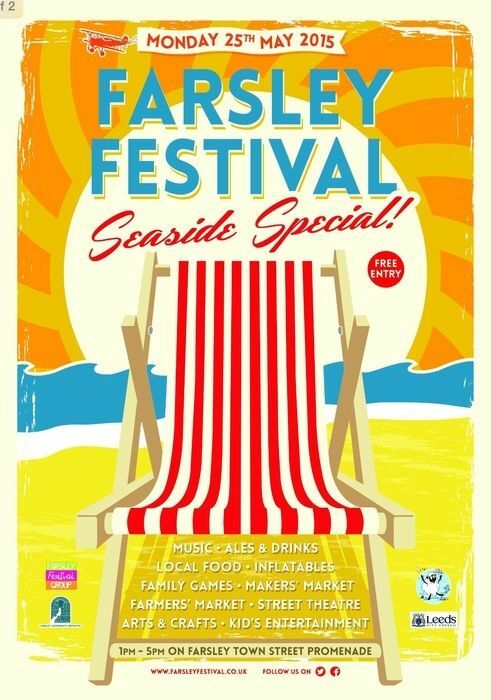 Get ready for Farsley Festival - and a world record attempt! | West Leeds Dispatch | News. Views. Get involved! Farsley Festival is the place to be tomorrow (bank Holiday Monday) if you’re after a fun family day out. Organisers of the popular annual event plan to start the festival off in style by setting the Guinness World Record for the largest number of people wearing knotted hankies on their heads at the same time. If you’re interested in taking part, gather at the top of Town Street by St John’s Church, look out for the big ‘FARSLEY’ written on the street. The event will be starting at 1pm sharp. Bring your hankie if you have one, but don’t worry if you don’t. Organisers will count you into the Record Attempt area and once they’re done the Festival will officially start. See you at 12.45pm to get your hankie knotted and in place. Several tons of sand have been shipped in to create a beach on Town Street, which will be turned into a promenade. There will be the usual variety of entertainment, live music, arts, street performances, crafts and activities. In addition to this there will be a wide range of street food. “The event is planned, organised and managed by a team of nine volunteers. All of whom have ‘proper jobs’ outside of the festival but turn up to every meeting and work crazy hours to make sure each event is the best ever! Organisers can be contected here.